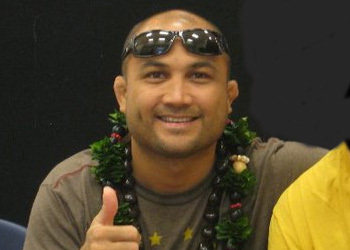 When Carlos Condit was abruptly pulled from his UFC 137 fight against BJ Penn (Pictured) and promoted to the card’s main event, no one was more surprised than Penn. The former multi-divisional champion was pushing his body to unprecedented levels to prepare for Condit, so he was perplexed to unexpectedly find himself dateless on Halloween weekend. “I never want to pick a fight with the UFC, but I was really wondering what the hell was going on,” Penn stated in a recent video blog. “I’m in the middle of training camp. I’m up here in California training for the last 45 days, preparing for this fight, and they pulled a switch on me without even letting me know. Diaz was originally scheduled to challenge welterweight king Georges St-Pierre for his crown in Saturday’s show, but was yanked from the bout after ditching consecutive press conferences to promote the pay-per-view broadcast. GSP subsequently injured his knee and had his fight with Condit postponed until early 2012. Ironically, Diaz once again finds himself in UFC 137’s featured contest, but this time against a friend and no belt will be on the line. However, it wasn’t a scrap either of the 170-pounders were initially keen on arranging. “I actually talked with Nick Diaz’s camp and this and that,” Penn shared. “We tried to get different fights because I trained with Nick Diaz, I’ve used him as a training partner before. He’s a good buddy. We actually talk on the phone and hang out when we see each other. UFC 137 takes place inside the Mandalay Bay Events Center in Las Vegas, Nevada.